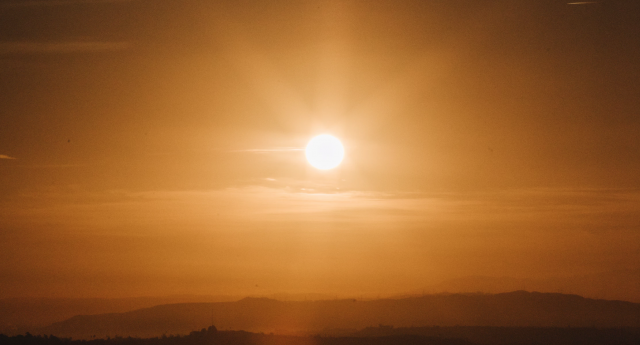 According to the Siberian Times, locals reported that the sun was obscured beginning at around 11 AM local time, with the sky remaining dark until nearly 2 PM. The incident occurred last week and was reported in the Eveno-Bytantaisky and Zhigansky districts. Several other districts reported a similar darkening of the sky at the time. Some residents also reported that the air was particularly cool on the morning in question, causing some to believe it had been an eclipse; however, no eclipse would have been visible at the time of the incident. Theories about what caused the unusual darkening range from a possible dust cloud to a pocket of airborne ash from a range fire elsewhere, which may have been carried aloft and deposited over the central Sakha Republic. There is no further word on tests, if any were conducted, to determine the ultimate source of the ashy substance. The nearest wildfires to the location of the incident occurred more than 7,700 miles away, although locals in the Eveno-Bytantaisky and Zhigansky districts said the air was still on the morning the unusual darkness occurred, and that there had been no wind. It is not, however, unusual for dust or ash to be carried great distances, resulting in pollution of the air in other regions. In April 2015, the Telegraph reported that the UK could expect future “blood rains,” a phenomenon where precipitation takes on a dark reddish or brown coloration due to airborne particulate matter. 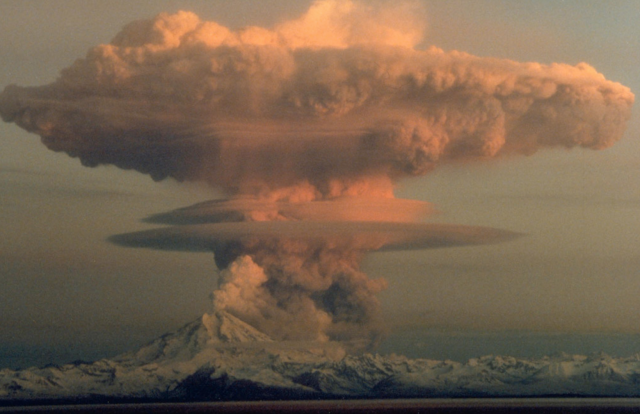 Volcanic ash is one potential source of airborne particulates (Credit: public domain). Weather systems in 2015 were expected to carry particulate dust from the Sahara desert all the way to the UK, dusting streets, buildings, and cars with a reddish coat. Naturally, due to its reddish appearance, when these particulates combine with water in precipitation, the resulting reddish liquid has an appearance vaguely similar to blood. Hence, such occurrences were traditionally considered a bad omen when they occurred. Several historical accounts of “blood rains” have appeared over the centuries. Among the earliest had been a reference made by Homer in the Iliad. In 685, the Anglo Saxon Chronicle reported “a bloody rain in Britain,” which described that “milk and butter were turned to blood.” Shortly after the blood rain, the Chronicle wrote that Hlothhere, recognized as the earliest Kentish king for whom there are existing records, passed away. Such tenuous connections between ill fortune and the “blood rain” phenomenon have contributed to its mystique over the ages. Granted, the association between respiratory health effects of particulate dust and ash pollution might support the idea that such associations did have at least some connection. The ultimate source of the Siberian darkness remains to be determined, but its similarity to other pollution-related occurrences over time makes it likely that airborne particulate matter, and possibly from a great distance away, had been what caused the incident.